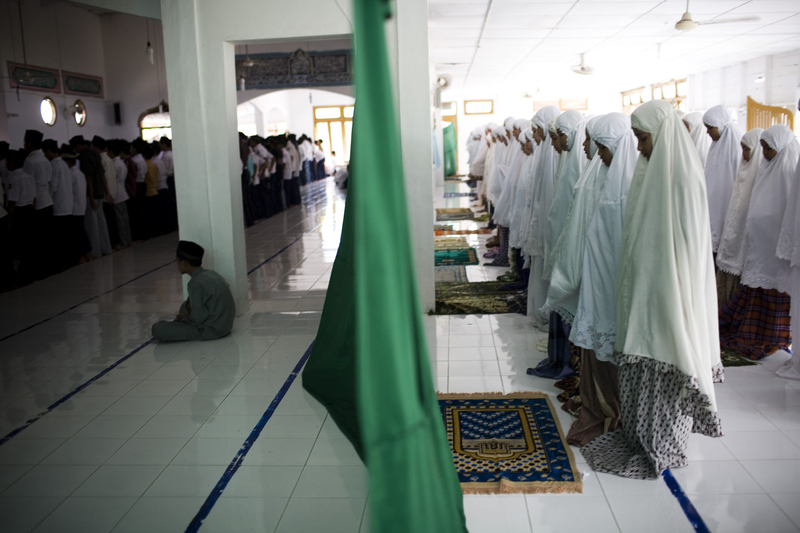 Junior High and High School students study at the Islamic School, which offers both national and Islamic curriculum, in Banda Aceh, on Tuesday, Nov. 10, 2009. In 2003, the provincial government of Aceh Province implemented a moderate form of sharia law on conduct and dress in their effort to reclaim Aceh as the Islamic capital of SE Asia. Muslim attire is not just required to enter the mosques, but also in daily life. Although Aceh is a matriarchal culture, women who break Sharia rules are often stigmatized, and often become objects of harassment.